Our campsite is only 4 km away from the old city were you can visit our castle, museums, museum-houses of ancient famous families of Gjirokaster, museum-houses of our dictator Enver Hoxha and our well known author Ismail Kadare , bars, shops ect. Our campsite is right next to the Gjirokaster-Valare road, which is a two lane rural road. You can walk, run or bike through it. Our campsite is quiet so you can practise yoga. 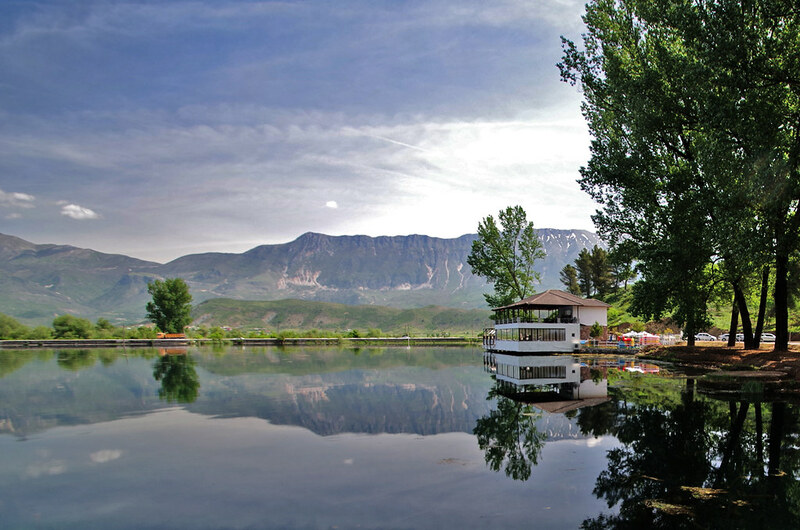 Our campsite is only 200 m away from a opened swimming pool and only 5 km away from Viroi lake. In cooperation with a group named Explore Gjirokastra (you can follow them on facebook) we organise every weekend tours to explore archeological sites (we have a lot of them very near) ancient churches, also mosques and teqe (religious buildings of bektashi believers) and beautiful nature around Gjirokaster. We organise groups who are interested in watching and tasting our raki and wine right here, on our campsite. We organise groups who are interested in harvesting cherries, grapes, plums. We organise groups also in planting vegetable seedlings, hoeing weeds, collecting chicken eggs ect. We practise evening meetings to talk with our visitors (of course for those who are interested), to share experiences with each other. There are plenty of sources regarding our city. Just google "Gjirokaster" and you'll get all the info needed.